I chose creative because I though it really described me as a person, and it describes what I do. 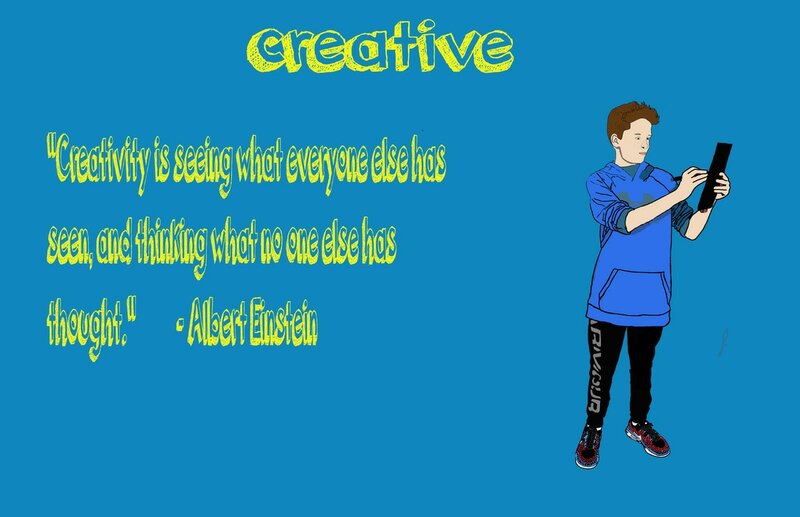 I chose the pose because it is me drawing and I love to draw and I always draw creativly. The easiest part of the photoshop was the colors because there is'nt a whole lot that you have to do and I already knew which colors I wanted to work with. The hardest part of the photoshop was the coloring, because the shading doesnt always look right, and i needed to find colors that matched what i was wearing, while still being bright and fun. 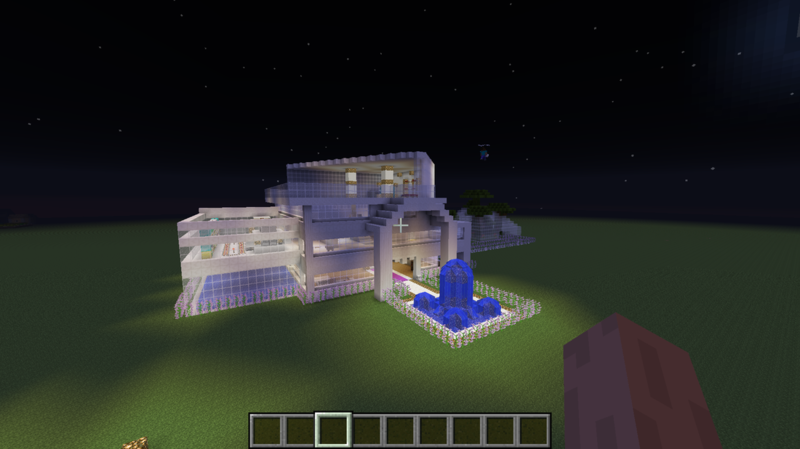 in minecraft we are working on building a modern house, and destroying villages. today we contined the base of the house, started on a pool, and started on a second floor. today we finished the base od the house and the bool, and are working on the inside of the house. 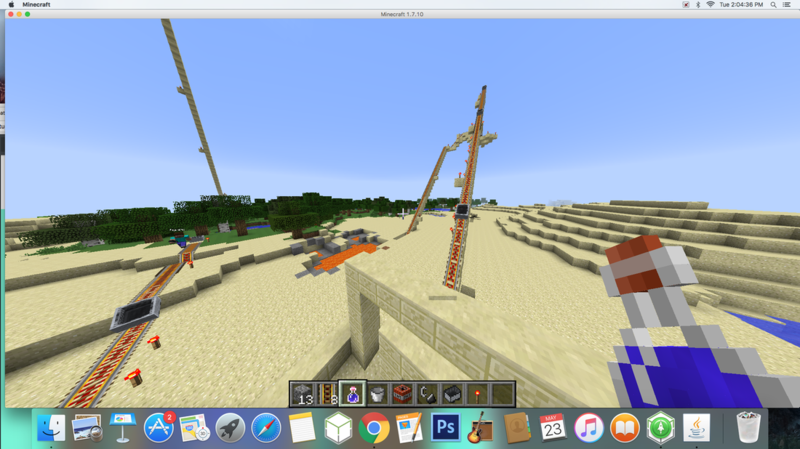 today i built a roller coaster in minecraft. we used sandstone and lots of rails. today i did more minecraft, we finished the roller coaster. we made an underground and underwater section. my favorite part of this class was the minecraft project becuase it was a group project that used a lot of creaivity and it was fun to see the project come together. i would change the amount of time each project takes becasue some projects feel too long.